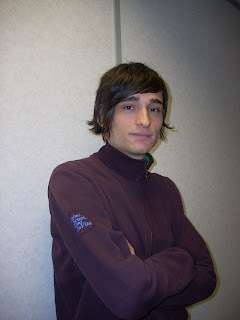 My name is Filippo, I come from Italy and I attended an English course at the Twin English School in London. I have chosen to join an English course in London because I love the city and I really have to improve my English language skill, that’s very important for our lives. The experience of Twin English School in London has taught me that in order to learn English quickly I need many friends to practice my speaking skills. For these reasons Twin English School in London has organised meetings with other students, coming from abroad, and clubs to make new acquaintances. Playing sports, like football can be another way to meet other students. The English School in London has organised several football matches where I’ve met different people and had the opportunity to invite someone to go out with me at the weekend. I think by meeting other cultures and people you only make new experiences and the different meetings will expand your horizon.